MPAA Rating: PG for rude humor. Running time: 85 minutes. Post-credits scene: yes. Released by Lionsgate Films in the US. 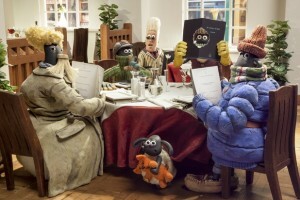 I’ve always had a soft spot in my heart for Aardman’s stop-motion animated films. 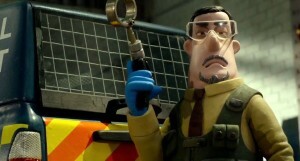 From Chicken Run to all of the Wallace & Gromit adventures, I’ve never not had a good time watching their particular brand of magic; released earlier this year in the UK and finally getting a stateside bow, Shaun the Sheep Movie (as its title says at the beginning of the film) continues Aardman’s tradition of bringing us compelling stories of common life made exceptionally uncommon. 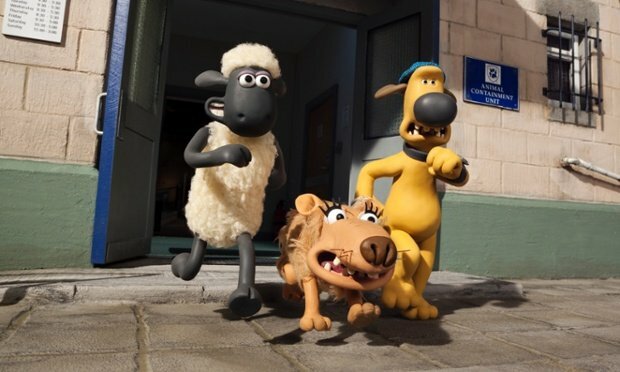 Also uncommon is the way the story’s told – not one word of any kind of language is spoken in Shaun the Sheep Movie, as the characters communicate in grunts and mutterings. 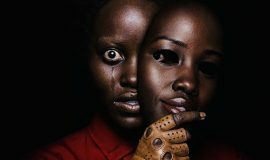 With the exception of the pop music soundtrack used to enhance the film’s emotions, the film relies solely on its visuals to tell its story. This film would work on its own with the volume turned all the way down, but some of the sound effects do make for some wonderfully humorous moments. 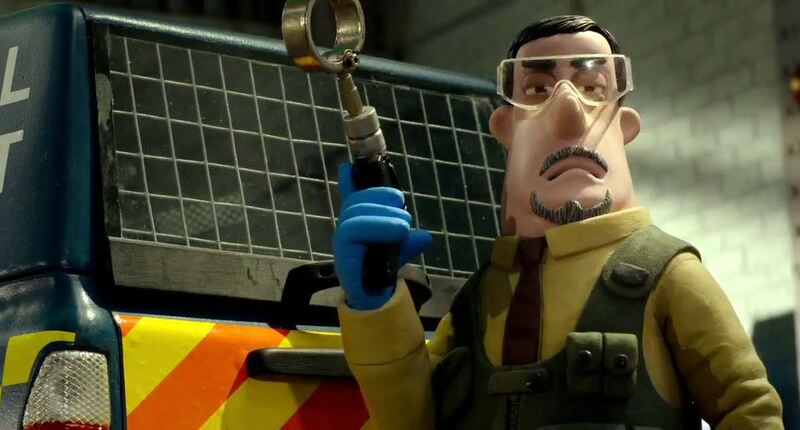 Written and directed by the team of Richard Starzak and Mark Burton, Shaun the Sheep Movie is a delight for all ages, its conceit fairly simple: how do you get out of a dull and boring routine? 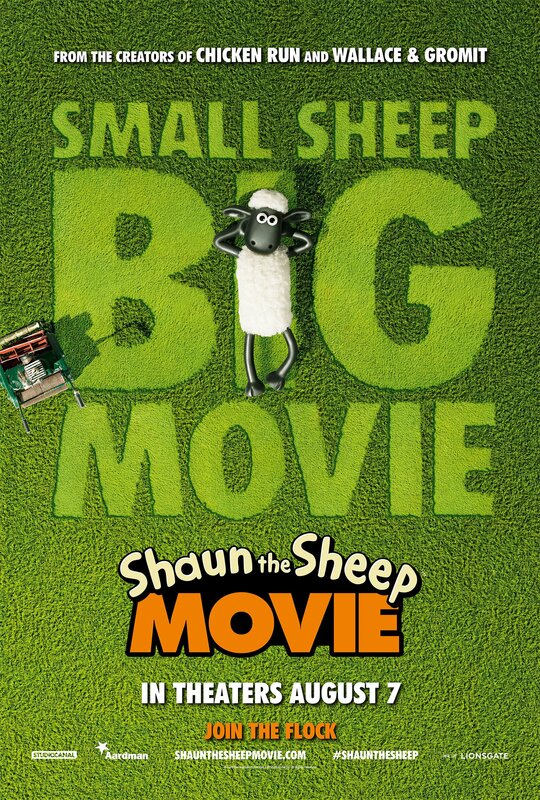 Life on Mossy Bottom Farm has gotten monotonous and boring for Shaun and his sheep family, with their day-in-day out schedule of waking, feeding, shearing, and being kept on a tight clock by The Farmer’s dog, Bitzer, who often has to play straight man to the sheep’s antics. However, Shaun – an extraordinarily smart sheep – may have gone too far this time to break their boring cycle. Organizing the herd and devising a plan to give The Farmer a day off, Shaun executes his plan to great success and The Farmer falls asleep on the job. But through a chain of unforeseen events, The Farmer winds up in the big city with a bad case of amnesia, and it’s up to Shaun and Bitzer to get him back. Not only do they have this to worry about, they also have to worry about Trumper, an employee of the Animal Containment Department who will stop at nothing to make sure strays of any kind are locked up. There’s nothing political to be said here, no deeper meaning to it all; this is a feel-good movie full of warmth and goodwill, never spending any time on hysterics or melodrama. Instead, the cute sheep having to foray into the big city and masquerade as humans is drama enough; they love their human enough to do the impossible and the unthinkable, and that’s a nice thing to see. There are nods to pop culture to keep the adults in the game, and its focus on keeping a family together – no matter whether or not its members are from the same species – provide a welcome respite from the cynicism and thinly-veiled narcissism which tends to dot recent children’s fare. It’s 85 minutes of pure fun and hijinks, and it’s got a fair amount of feeling to it as well. 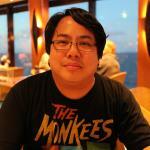 The story is moved visual nuance, expressing all emotion through action, without the hindrance of language and words. Yes, some of the pop songs used in the movie are a bit of a cheat, and they almost become characters of the movie in their own right. 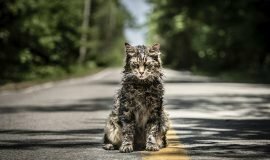 However, the film achieves the overall effect that Starzak and Burton have worked for, which is for a film to appeal to all ages and sizes, to have a universal story which can be told without the weight of words. This, to me, is a magnificent throwback to the Charlie Chaplin / Buster Keaton era of films, their films living and dying by the actors’ physical capabilities and expressions. No other animated film in recent memory told an entirely visual story like this, but Shaun the Sheep Movie does it and does it well.